Joan Collins said she was "deeply honoured" after it was revealed she would be made a Dame in the New Year Honours list. The 81-year-old actress, who has been recognised for her decades of charity work, said, "It is humbling to receive this level of recognition from my Queen and country, and I am thrilled and truly grateful." Collins is best known for her role as Alexis Colby in the lavish American soap opera Dynasty. 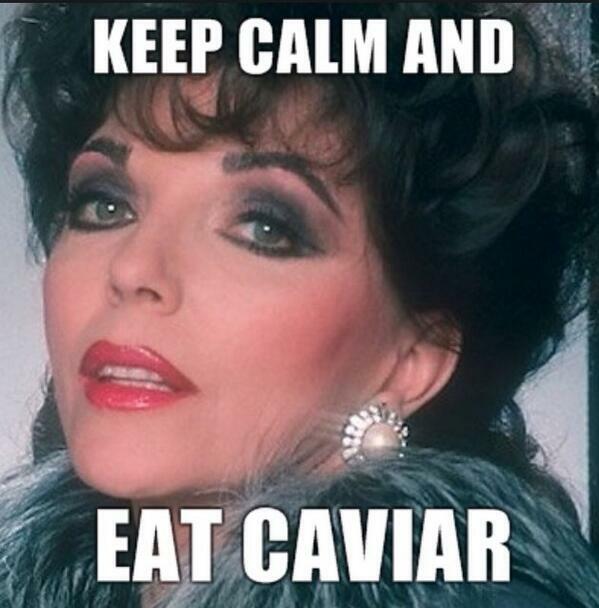 Actress Joan Collins was left shaken after the plane she was flying in was struck by lightning during a storm. The star tweeted about her mid-air scare once her flight from Milan landed at London's Heathrow airport. Followers were quick to send kind messages to the 81-year-old, with one commenting: "A bolt of lightening is no match for a force of nature like you Joan." Well this was fun...not!! Our plane hit by lightning coming from Milan To Heathrow BUT, I'm still here!! ? Thanks for all your messages fellow tweeters and yes it was pretty scary??? Joan Collins tried to replicate the success of Ellen DeGeneres' Oscars selfie at a Prince's Trust event - but missed out the main man. Dynasty star Joan Collins is heading to Benidorm to play a guest role in the hit ITV sitcom. The 80-year-old will play a hotel guest called Crystal in the new series set in the Spanish resort. The actress tweeted her excitement at her new role: "Looking forward to going to Spain to be in #Benidorm. And I'm playing Crystal, yes I am!! But not the dynasty one." Collins played Alexis Carrington in hit US show Dynasty for a number of years, opposite Linda Evans who played rival Krystale Carrington. The sixth series, which is currently being filmed, also sees the return of regular cast members including Steve Pemberton, Siobhan Finneran and Tim Healey, while former cast member Nicholas Burns will also return to the show. Joan Collins, who flew from Los Angeles to London to be in the Capital for the Diamond Jubilee celebrations, said: "I think that at the moment the Queen is the biggest star in the world. "It doesn't matter who you talk to or where you go, people say what's the Queen like, how did she look, what's she wearing, more than Kate Middleton, more than Prince Charles. "Everybody is completely and absolutely fascinated by her."